May 10, 2018 5:15 pm. Liam Birchley has been slapped with a 12 month suspension. Brisbane trainer Liam Birchley’s one-year disqualification for his part in the Aquanita case will be enforced immediately in Queensland. Birchley had been able to train and nominate horses in Queensland after being charged with over being a party to a race day treatment. 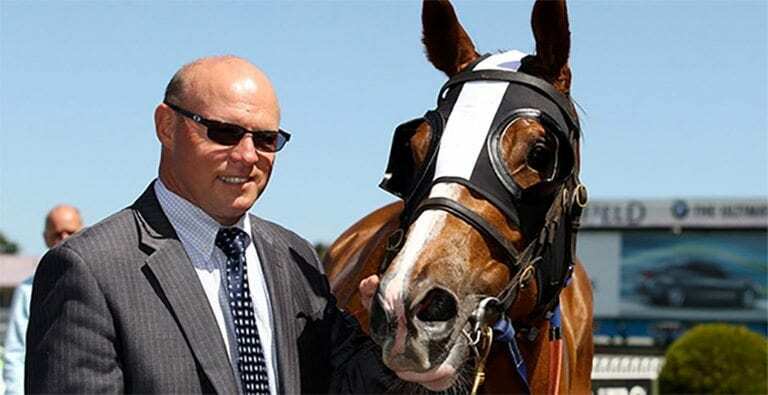 He has been unable to nominate horses in Victoria and NSW since being charged earlier this year. Birchley was found guilty of the charge on Tuesday but has indicated he will appeal. The Queensland Racing Integrity Commission had delayed taking action against Birchley until after the penalty was handed down by the Victorian Racing Appeals and Disciplinary Board. QRIC Commissioner Ross Barnett said the QRIC would enforce Thursday’s disqualification under the Australian Rules of Racing. “Mr Birchley, one of Queensland’s biggest thoroughbred trainers was along with seven others found guilty of dishonest, corrupt, fraudulent, improper or dishonourable practice in that they were party to the administration of alkalinising agents and/or medications to a horse or horses on a race day,” Barnett said in a statement. “The one-year disqualification highlighted the importance of maintaining the integrity standards of racing nationwide and would be enforced. He said Birchley had seven days to transfer all horses to other registered trainers or make application for an extension period. Six of Birchley’s horses have already been transferred to trainer Toby Edmonds to race this weekend. Villiers Stakes winner Crack Me Up was transferred to Sydney trainer Bjorn Baker at the beginning of March.